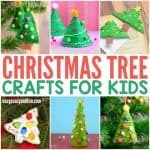 Do you have your Chrismtas tree out yet? 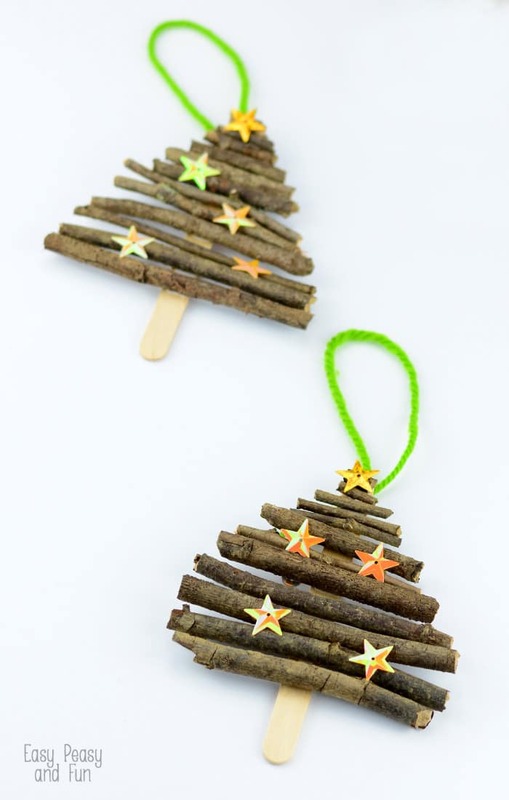 Let’s make wonderful popsicle stick and twigs Christmas tree ornaments to decorate the tree (or your home with). Making Christmas ornaments together is making memories that will last ;). 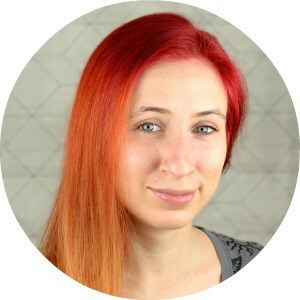 You can start with a lovely walk in the nature collecting all kinds of twigs. If the twigs aren’t dry, dry them first (you can dry them at a low temperature in the oven). 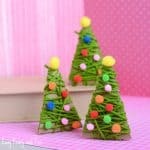 Break up the twigs to get different lengths, use scissors when you can. 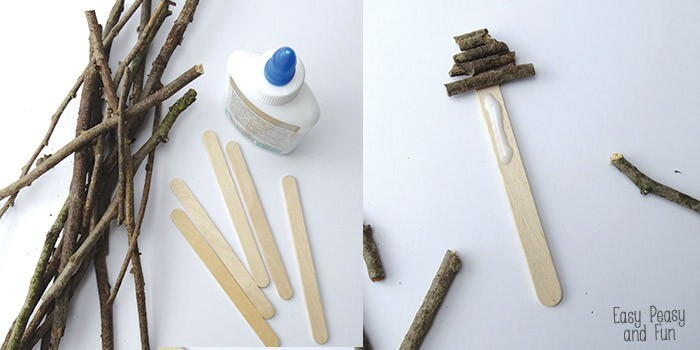 Apply a generous amount of glue along 3/4 of popsicle stick. 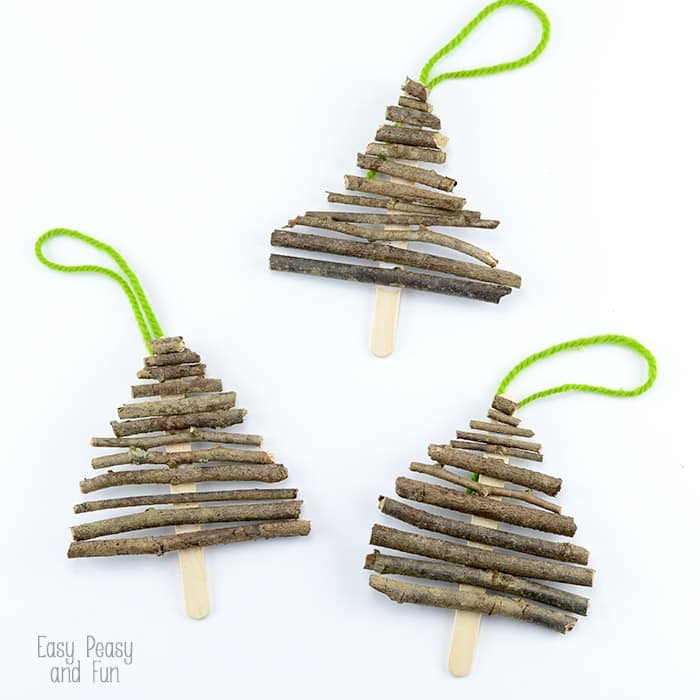 Start glueing on the broken down twigs starting with the smallest on the top, adding larger ones till bottom. Let it dry completely. 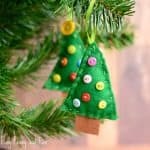 Glue on yarn on the back side if you wish to hang this pospicle stick tree ornament. 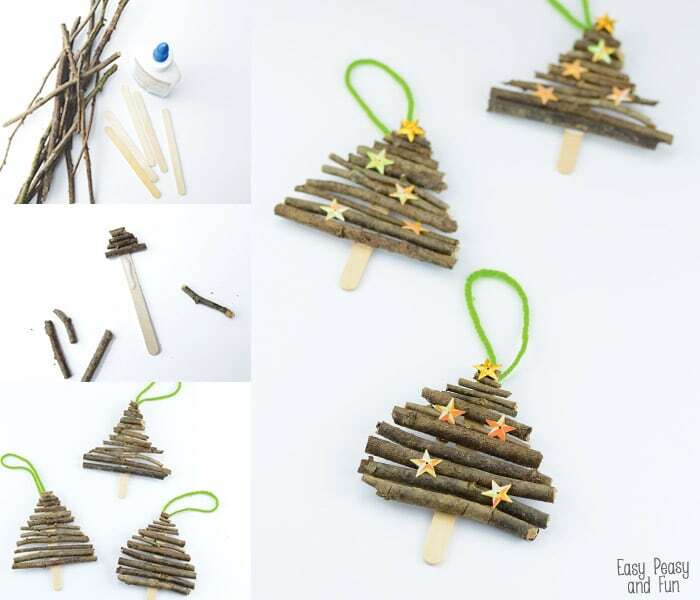 You can leave them as they are or take it a step further and decorate with sequin, pom poms or anything else that will make these popsicle stick and twigs Christmas tree ornaments look even more festive. 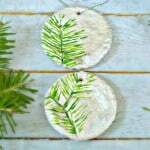 Want a cool ornament the whole family can make together and will make a wonderful gift for family and friends? 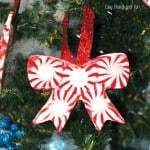 Make this salt dough ornament. 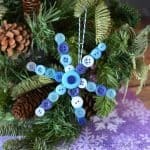 Or why not make this pom pom snowman ornament? It’s really fun to make. These are so beautiful! 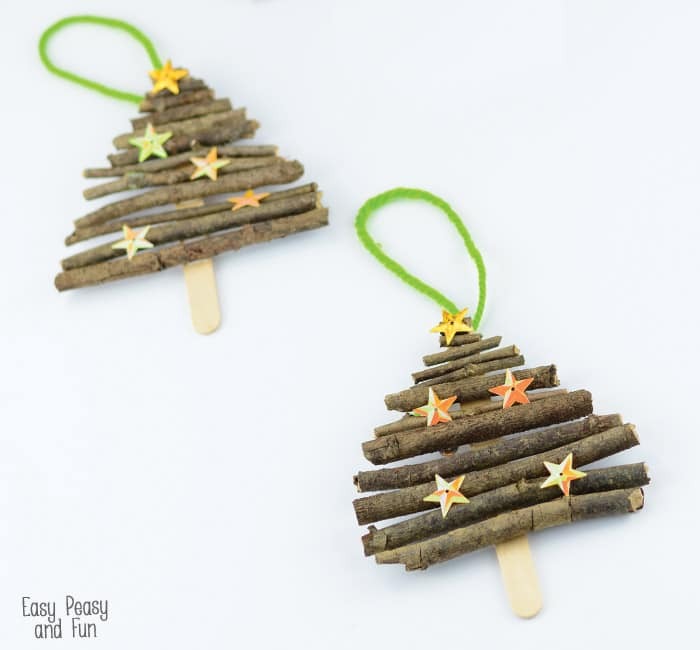 We make stick ornaments every year never thought of using Popsicle sticks in the mix. Great idea! !